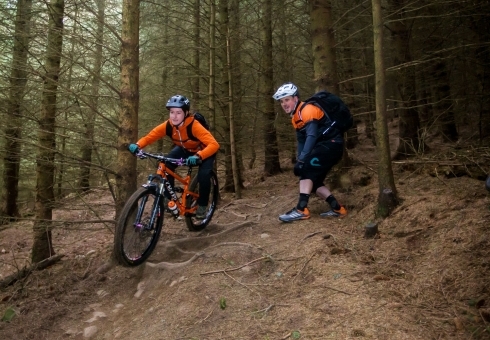 Learn the essential skills for tackling common mountain biking trail features. 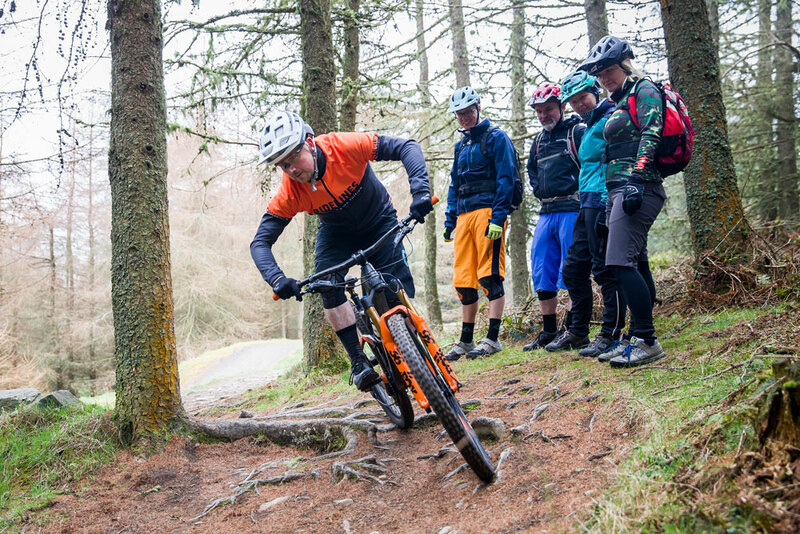 Hosted at Glentress During our beginners mountain bike skills Course we’ll give you the tools to confidently tackle on the trail ahead of you. From positioning yourself correctly on the bike to absorb obstacles and promote freedom of movement. To maintaining your momentum on blue and red style trails. You’ll learn how to stay in control with the confidence to start tackling more technical features. Furthermore, we’ll string it all together and make it useful! 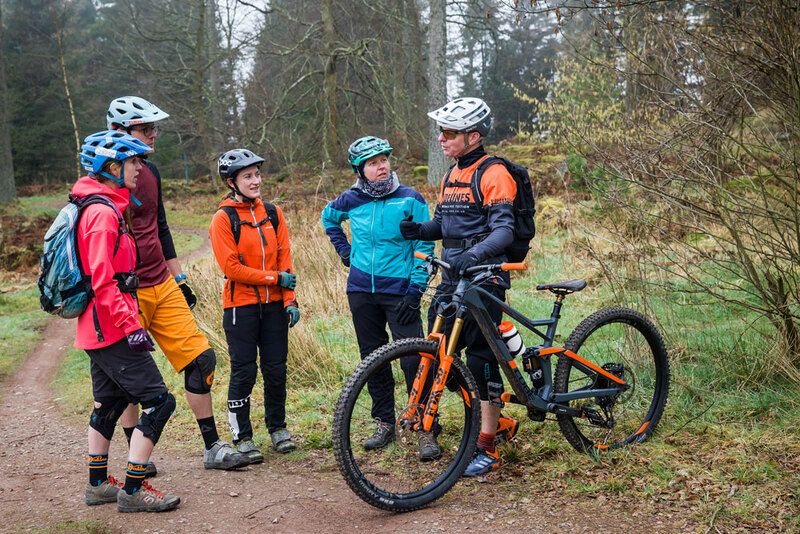 This course is for either the new or lapsed mountain biker that needs to build or re-establish the basics in confident, safe trail riding. Conserving momentum on the trail. Reading and reacting to the trail ahead. 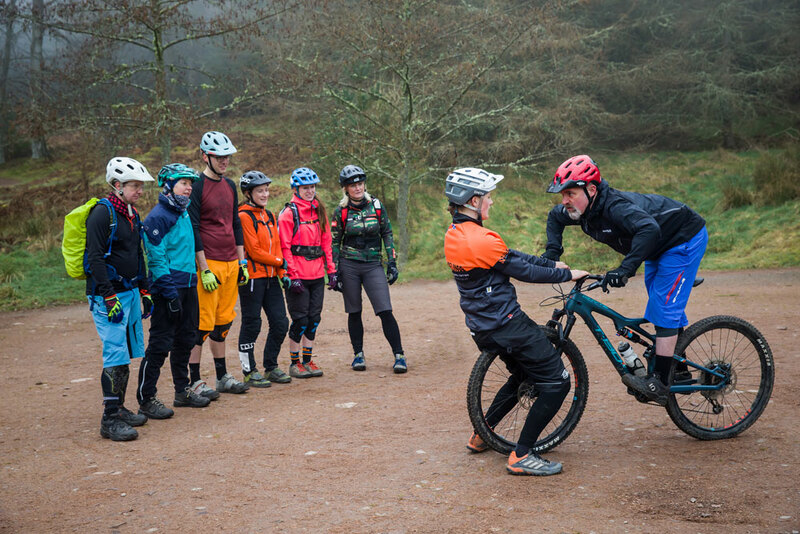 On this course, we spent time off the main trails looking at positioning you correctly on your bike. We will explain the physics of absorbing trail features in the context of positioning and give you the tools to do it. 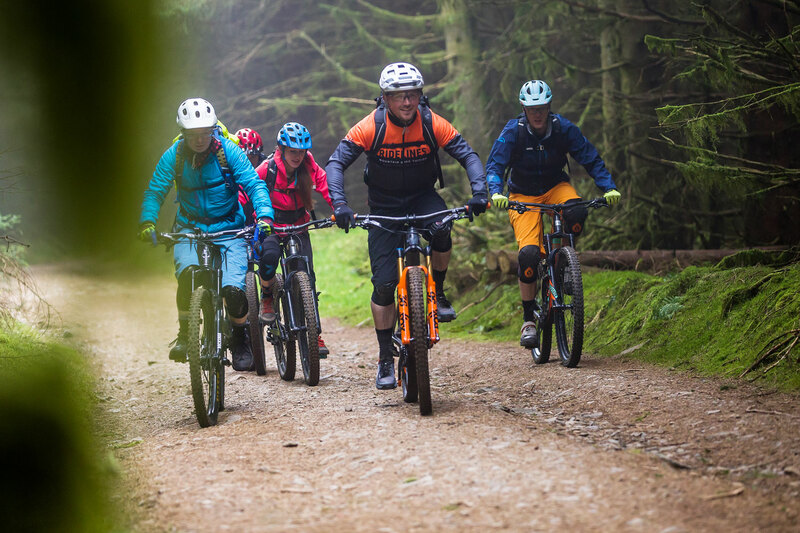 We’ll also look at how this translates to slightly steeper terrain and small drop offs, all of which are features you’re likely to come across on blue and red trail networks. We’ll also look at techniques for cornering and braking to inspire confidence in the areas you’re tempted to be conservative. * Safe and effective braking. * Conserving momentum on the trail. * Reading and reacting to the trail ahead. * Rolling over trail obstacles. Suitable MTB in good working condition. An undamaged well fitted modern bicycle helmet and full fingered gloves. Please bring snacks and at least one litre of water. Please wear clothing suitible for the days conditions. 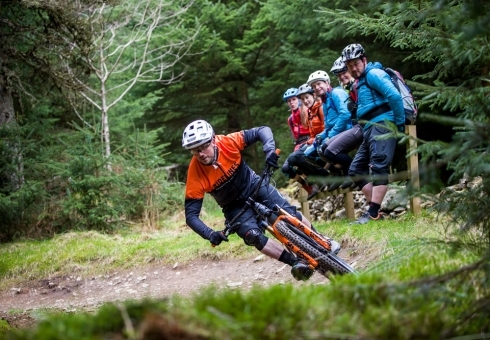 For those who are new to mountain biking or have lapsed for a few years. 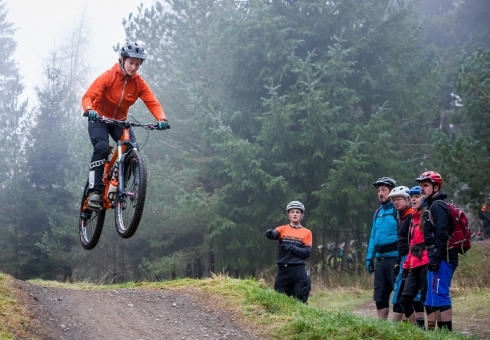 A great days coaching intended to give you a confidence boost to take back out onto the trail. Great day doing the level 1 course led by Andy at GT. Invaluble instruction throughout and will def book again once i have ‘squashed my O’ and learned to breathe when cornering!!! Thanks so much. Fantastic level 1 skills lesson on Easter Sunday with Dan and Neil, feeling much more confident on the blues. Thanks guys.